The Soviet Union took part at the Olympic Games for the first time in Helsinki 1952. In this picture the Soviet team marching to the Olympic Stadium at the opening ceremony on 19 July 1952. 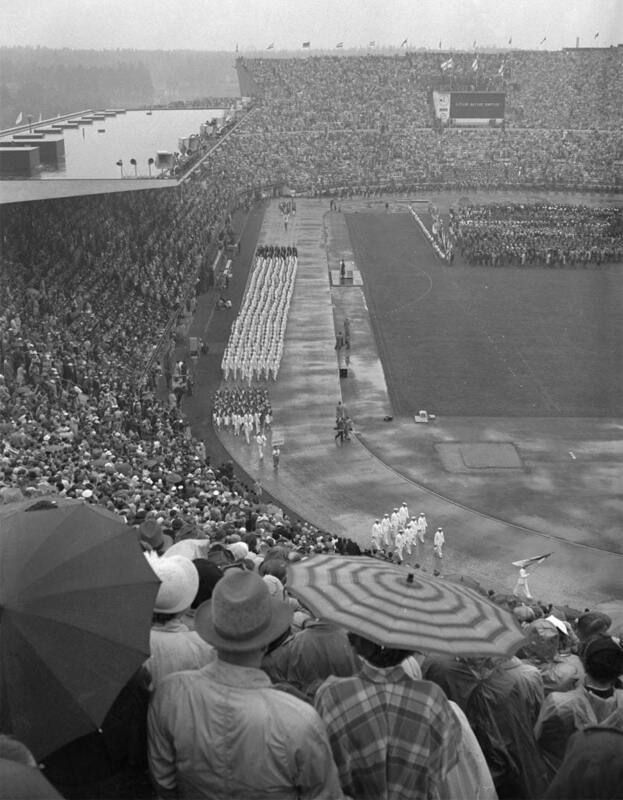 The parade of nations took place in front of 70,435 spectators under constant rain.